In 2016, UHL became the first hospital in Ireland to perform colorectal, renal and adrenal surgical procedures using the state of the art Da Vinci Xi Dual Console robot. The first ever live stream of robotic surgery in Ireland was carried out at UHL on the 29th of November last. As part of the training course this Thursday, Intuitive Surgical are delivering a second Da Vinci Xi platform which will be used exclusively for training purposes. The Da Vinci Xi platform will also be on display in the GEMS building in UL on Friday and Saturday. Mr Peirce, who delivered the Inaugural Lecture on Robotic Surgery on an opening day, said UL Hospitals Group was well on the way to establishing itself as a national centre of excellence in this regard. 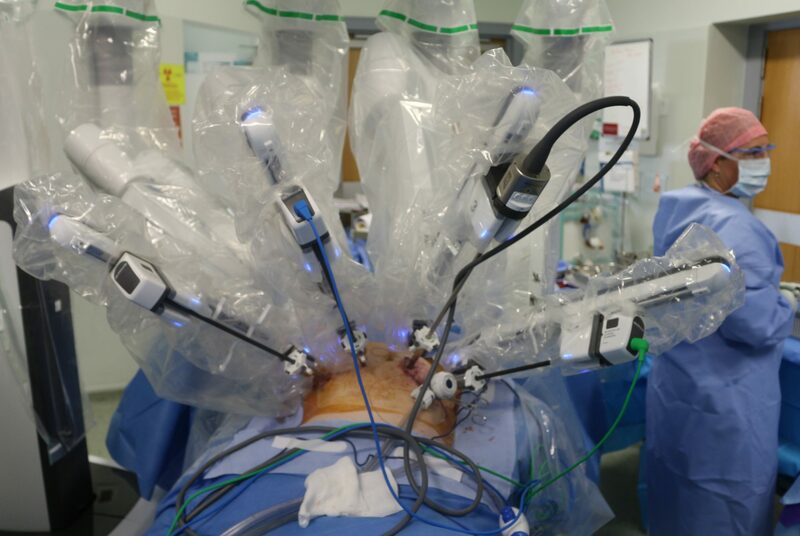 “We are delighted and honoured to be the first university teaching hospital in Ireland utilising the newest robotic platform available worldwide. Having pioneered colorectal and renal surgery in Ireland, further subspecialties and surgeons will be joining the team as the year progresses. UHL is in the unique position of currently being the only hospital in the country to offer trainees on dedicated surgical schemes robotic exposure and experience. This, coupled with the vast array of audiovisual capability within the operating theatre, CERC building and UL makes the program truly unique and the opportunities from a clinical, educational and research perspective are countless. We are excited in that this year’s meeting will be the first of many and the program will expand both nationally and internationally as the team grows in experience and number,” Mr Peirce said.